A revival of sauna innovators and entrepreneurs have created a hub of sauna culture connecting a diverse Minnesotan crowd to the Scandinavian tradition. Below you’ll find some awesome saunas for sale in Minnesota and a little history that got us here. 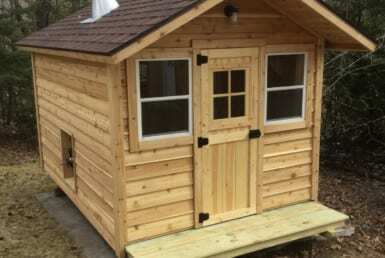 This family-run Duluth business builds wood-burning cabin/shed style backyard saunas that are delivered prebuilt. They use their own outside-feed wood burning stoves. Christensen Saunas delivers throughout Minnesota as well as Wisconsin and Michigan. Prices range from $8,500 to $13,000. They offer 6×10′, 6×11′, 8×14′, and 8×16′ models that are build to order. The larger models have changing rooms. You can see all the models and contact Christensen Saunas here. 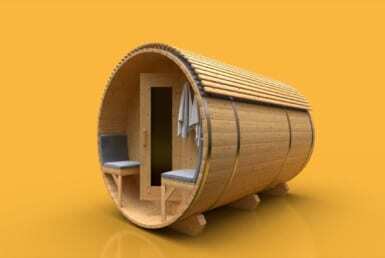 Custom Mobile Saunas provides an authentic sauna experience, sacrificing nothing to make their saunas mobile. They use Kuuma wood stoves, spray foam insulation, and removable wheels that make you forget it’s mobile. They sell ‘Finnish Yourself’ kits where they do the difficult welding and assembly of the structure and you get some sweat equity by doing the woodwork. You can see their marketplace options here. Finn Sisu is a cross-country ski store that sells Saunatec and Finnleo Saunas. They sell traditional and infrared saunas at their St. Paul location. Finn Sisu also offers custom built options for rooms that are already studded and insulated. Finnleo is a Minnesota sauna company that was bought by TyloHelo – a major sauna heater brand in Finland. Through their distributors, Finnleo sells traditional and infrared saunas ranging through from 4×4′ to 8×12′. They also offer an ‘InfraSauna’ which is supposed to be the best of both worlds. Finnleo manufactures indoor sauna rooms (traditional and infrared) and outdoor traditional saunas. For indoor saunas, they have kits and custom options for construction projects where walls or gutted. These are great for new additions, new construction, or major renovation projects such as finishing a basement. What’s great about Finnleo is they also have indoor sauna kits that are easy to assemble in a house without doing any major construction work. You can basically choose where you want it and have an electrician run power to it. For outdoor sauna options, the Metro, Patio, and Summit outdoor saunas come as kits that are easy to assemble. As a part of the TyloHelo network, Finnleo brings some much needed diversity to the electric heater market in North America. The Saunatonttu heater is unique in that it has a closing lid that stores heat so it’s always ready to go. Their Blackline with Biowater is among the best looking minimalist designs available in North America. 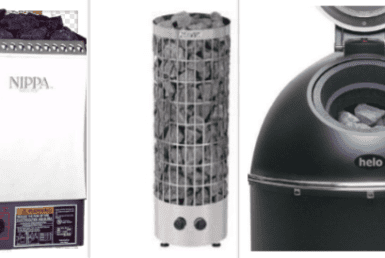 TyloHelo wood burning heaters are also very popular in Europe and now available through Finnleo distribution channels. We don’t know where they get their cedar from but it’s beautiful. Custom Line Saunas stands out with their craftsmanship and standard 7′ diameter barrels. They offer 8′, 10′, and 12′ length models built to order. Prices range from $6,800 to $8,800 with outdoor sitting area or changing room available on larger models. Custom Line Saunas builds their own wood heaters, with an electric option from Polar in Finland. 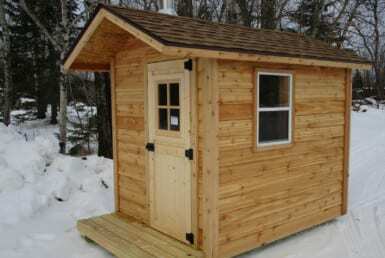 Also known as Rozycki Woodworks, LLC – RW Saunas is a one man show building barrel saunas in Royalton, MN. For Minnesotans who are not interested in barrel sauna kits, there’s also Keweenaw Saunas who build and deliver quality cedar barrel saunas throughout the midwest. 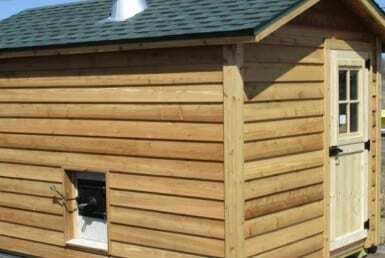 Though they’re technically in Ashland, Wisconsin – Superior Sauna provides the Minnesota market custom and prefab sauna options from a global sauna player. Superior Sauna is a sauna manufacturing company, sauna distributor, and sauna lumberyard for DIY sauna builders and sauna companies. What’s great about Superior Sauna is they help you design and source materials for your sauna build. They also have one of the largest selection of sauna parts worldwide – another reason DIY builders love it. Christensen Saunas is a family-run business specializing in wood-fired cedar saunas. We are welders, fabricators, designers, and overall outdoor connoisseurs working to create your dream leisure products. We build all our products locally with personal care and high standards. Company owner Eric Bongard has spent nearly a decade developing the industry’s finest mobile shelter products. 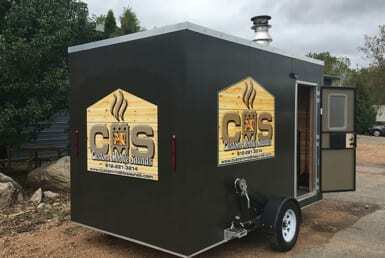 Because 100% customer satisfaction is the company’s aim, Eric still performs the final inspection on every Custom Mobile Sauna that leaves his shop. Customer consultations, welding, field-testing… Eric does it all. What makes MN ground zero for sauna revival? 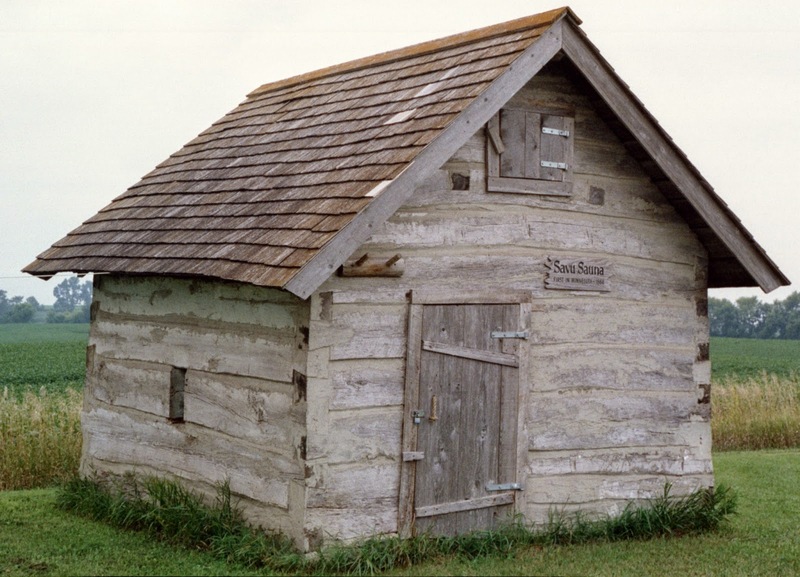 Minnesota has a rich history of Scandinavian sauna culture dating back to the early 1800s. Finns increased in population in Minnesota until the 1920s when they became the 4th largest immigrant group in the state. Finnish settlements popped up in Northern Minnesota where they found work in Lumber Camps, railroads, and mines. One county official doubted the Finns ability to evaluate land, but their “longing for a snow-covered nature, where smooth ice-covered stretches of lake could be glimpsed through pine and spruce” explains their destination. 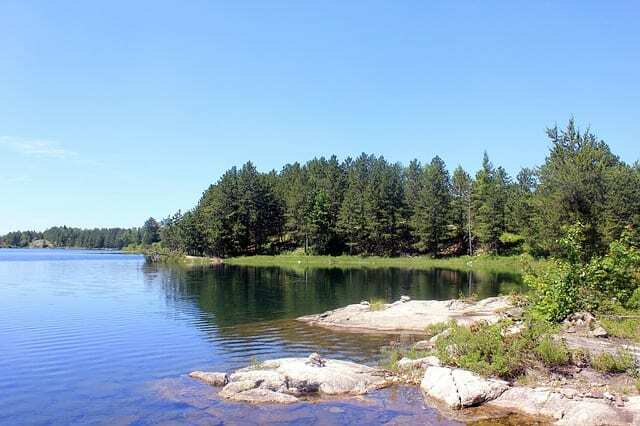 Swedish speaking Finns from Ostrobothnian coastal towns and from the Aland Islands tended to seek out new homes along the water, so that they could continue their occupation of fishing on the shores of the Great Lakes. In 1868, 3 Finnish neighbors (Isak Parbo, Selvälä and Salmonson), built the first known sauna in the region between their three farms. 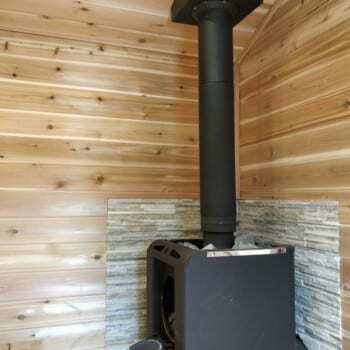 It was a simple log sauna with no dressing room, 10×12′ with seven foot ceilings. The hot room had a pile of stones heated by fire in the corner, a high bench along the back wall, and openings near the ridge to let smoke escape. Today this would be known as a savusauna, or smoke sauna. For 20 years, the neighbors families took turns every Saturday using the sauna. In Finnish fashion, they would stand outside naked to cool themselves between sessions. This became a problem after a road was built right next to the sauna. The stark naked Finns cooling themselves in front of the sauna led to all sorts of grumbling and muttering about the strange ways of the Finns. The village authorities ordered the sauna removed “from the middle of the road” in 1885. The owners removed the sauna, but brought the first Finnish lawsuit to court in Cokato where they won $70 in damages and moving expenses which allowed them to build a bigger, nicer sauna elsewhere on their property. The original Savusauna still stands in Cokato after moving several times, and was recently restored. 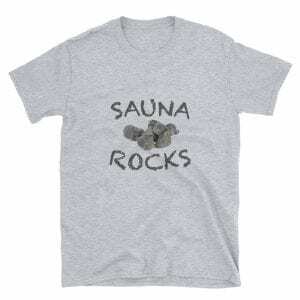 Saunas were not traditionally for sale in Minnesota because building them was almost a Finnish Right of Passage. 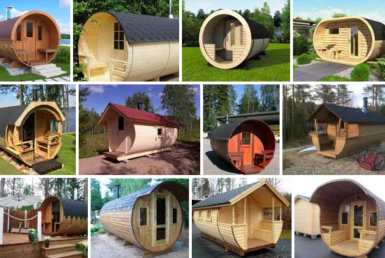 When Finns bought land, they often built (and still do) their sauna first. They would live in the Sauna as the house was built. Wood burning sauna heaters, on the other hand have a long history of innovation and entrepreneurship in Minnesota. One company that began in the early 1900s is still selling sauna heaters today. Many Finnish immigrants operated public saunas after moving to Minnesota in places like Duluth, Ely, International Falls, and Virginia, MN. Though some of these still exist, they largely fell out of style by the 1920s. 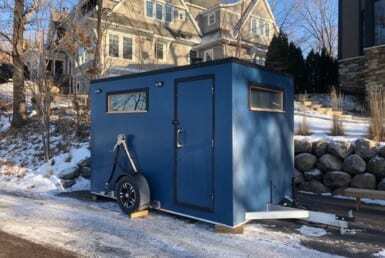 A crowdfunding that launched a mobile sauna also served as a springboard for a revived sauna culture in Minnesota. The 612 Sauna Society is likely the only member-owned co-op sauna in the world. There are currently 150 member/owners, but you don’t have to be a member to book a session on their website. Hiki Hut is the newest mobile sauna in Minnesota, offering the optional Lake Superior cold plunge between sessions. They have public hours on most weekends and also offer private rentals for parties and events. 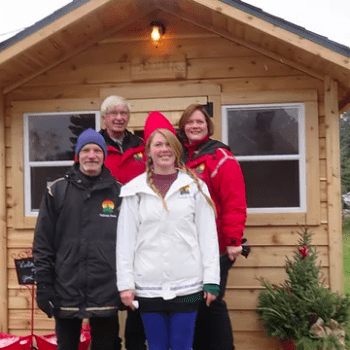 Little Box Sauna is propane-heated mobile sauna that was built in 2015 with a grant from the National Endowment for the Arts and additional support from IKEA, Mall of America, and the Bloomington Theatre and Art Center. The sauna can be found at festivals, coffee shops, parks, cultural institutions, and small businesses throughout the Twin Cities. It can be rented privately or booked by the hour during public sessions.